Faith and Theology: An interview with John Shelby Spong: "I am very orthodox after all!" An interview with John Shelby Spong: "I am very orthodox after all!" My friend Scott Stephens, who recently posted a scathing critique of John Shelby Spong, also caught up with Bishop Spong for a Eureka Street interview. A small excerpt from the interview was published in today’s Eureka Street – and Scott has kindly allowed us to have the full transcript here. It’s a fascinating and wide-ranging conversation – they discuss Benedict XVI, Rowan Williams, Paul Tillich, Peter Jensen, religion, gay ordination, fundamentalism, evolution, and – of course – Dietrich Bonhoeffer. SS: Bishop Spong, this year has seen the publication of Benedict’s much-anticipated book, Jesus of Nazareth, as well as your own, Jesus for the Non-Religious. It would be difficult to imagine two more different treatments of the same subject, and yet both have generated a lot of public interest. I can’t resist asking whether you’ve had a chance to read Benedict’s book? SPONG: I’m in the process of reading it now – probably about two-thirds of the way through. SS: What do you think so far? SPONG: I don’t think he and I live in the same century; certainly not in terms of biblical scholarship. It seems to me that he falls back on a kind of neo-fundamentalist mentality that says that you’ve got to test the truth of the Bible by the Bible. That is, you’ve got to view it as a whole, so that if you get a verse that doesn’t make much sense you’ve got to bring the whole Bible to bear in order to find out what the will of God is. To me, that’s simply a defensive mechanism that avoids facing the truth. My publisher in America, HarperCollins, is going to put out the paperback edition of my book – probably in the second half of next year – and on the cover they’re going to market this book as “A Radical Alternative to Pope Benedict’s book on Jesus”! Now, I’m sure there will be a lot of people who disagree with me just like I disagree with the Pope. But that’s not what’s important to me. What’s important to me is that, if there are two polarities within the Christian world, the debate has to continue between these to polarities in order to get us closer to what I think is the realistic world we must enter as Christians in the twenty-first century. SS: I can just picture getting on Amazon.com and discovering that you can purchase Benedict’s book and your own for a single low price if you buy them both together! SPONG: [Laughs] I hadn’t thought of that! I’m not much into marketing. I just write. HarperCollins came up with the idea, and I told them to run with it. SS: In your latest book, you reiterate the same pronouncement that you’ve been making for some years now: “The religion called Christianity is dying, the casualty of an expanded worldview. The God experience of Jesus – that experience upon which Christianity was built – is newly dawning and will in time create new forms through which that new vision can live.” I wonder, from your vantage point, are you heartened or rather more concerned by the recent prominence of such militant atheists such as Richard Dawkins, Sam Harris and Christopher Hitchens? SPONG: Oh yes, it gives me great heart. But so does the rise of this ultra-conservative, fundamentalist Christianity. As I see it, there are three responses to our contemporary crisis of faith. The first is the reaction of those extreme fundamentalists who close their minds and remain so fearful that they will ban or try to silence anybody that disagrees with them. The second is the emergence of what I call the “Church Alumni Association,” which is by far the fastest growing Christian movement – certainly much faster than right-wing fundamentalism in America, and I would bet in Australia too. These are people that can’t see an alternative to fundamentalism, and so they say that they just don’t want to be part of that whole ‘religious thing’. And the third response is this new wave of militant atheists who see religion as a positive evil. Now this is an enormous ferment, and I think it’s really an alive and fruitful and exciting time to be someone who is publicly addressing God and Christ and theological issues. What I keep trying to find a way to do is to build a community between radical fundamentalism, or maybe rabid fundamentalism, and this disillusioned secularity. I happen to be what I would call a Christian humanist, because I think that the Christian faith, when fully understood, has got to be about enhancing the humanity of all people. I don’t believe that the way we’re proclaiming it today does that. My marching orders are in John’s description of Jesus’ purpose: “I’ve come that they might have life and have it abundantly.” I think that everything that the church does must be measured by whether it enhances life or diminishes life for anyone. That is central motivation behind my advocacy on behalf of homosexuals, and my struggle against the judgement that these are deviant people (as the Pope says) or that these are evil people (as some American evangelicals say). This is so desperately opposed to what I understand the Christian faith to be, that when I hear these kinds of declarations it is like a dagger to my heart. Now, I know my church too well, Scott. 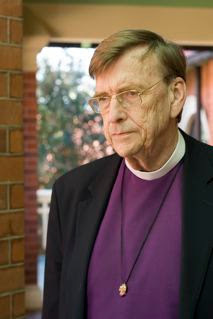 I know that Gene Robinson is not the only gay bishop in the Episcopal Church right now. I won’t name the others, but I will say that among these gay bishops are some of the most homophobic voices that are raised within that church. I sit back and look at these people with bewilderment. I could name the gay bishops in the Anglican communion in England without any trouble. I know them! So it’s not that we have this new thing called a gay bishop. The only thing that’s new here is that we have an honest gay bishop. I won’t even begin to tell you about the feigned outrage and outright hypocrisy that surrounded Gene Robinson’s eventual election. And so when people threaten to leave the church over these kinds of issues, I feel like handing them their hat and saying, “What are you waiting for?” I’m not into blackmail. Like I said, I grew up in the South, and I know that when there’s a moral principle involved – like slavery – you don’t compromise on that. Slavery is either right or it’s wrong. And you don’t keep unity in the church by keeping the slave owners happy. You’ve got to take a stand somewhere. The same principle holds today. I’ve said this to the Archbishop of Canterbury in person. If the issue were slavery he wouldn’t be waffling like he is. In my opinion, the issue of homosexuality is just as strong and just as morally serious. So I see all these battles that we’re now caught up in, both inside and outside the church, as very exciting, even invigorating. 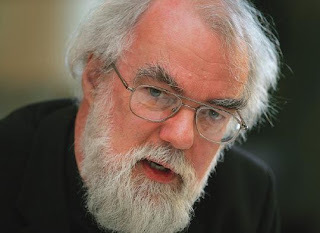 SS: Rowan Williams is an extraordinary theologian. And yet he seems to have refused to take that same acumen, that same imagination that distinguished him as Lady Margaret Professor of Divinity at Oxford, and bring it to bear on the current crisis over gay ordination that is ravaging the Anglican Church worldwide. You must be disappointed. SPONG: Very much so. I’ve known Rowan a long time, and he has been one of the strongest voices in support of ordaining gay people. He has ordained gay people. I don’t mind saying just how disappointed I am with him, and how disillusioned are the hopes that we had for him. The day that Rowan was appointed, I wrote a column for the newspaper saying that he was the best qualified Archbishop that we’ve seen for many decades. Maybe William Temple would be his equal. But we haven’t seen someone with Rowan’s academic ability and theological sophistication in that office in a long, long time. Not to mention that he was young – fifty-two years old – and so he could be Archbishop for maybe twenty years. I wrote that he has the opportunity really to shape the Anglican communion. But I closed that column by saying that I have only one anxiety: does he have to courage to stand up against opposition? I’ve never seen him able to do that. If he can’t, then he’s going to be a great disappointment. In my opinion, he collapsed the day after he was appointed. He wrote a letter to all the Primates saying that as the Archbishop of Canterbury he would not act on his personal convictions but only on the Lambeth resolutions, which in effect gave away his leadership ability. The previous Archbishop, who was extremely homophobic, would never have done such a thing. He would never have said that he’s not going to act on his principles, because he believed that his principles were directly from God and it was therefore up to him to impose them on others. Liberals are always weak. Liberals can see two sides of an issue, and therefore are reluctant ever to impose a position on anybody. But if Rowan would just say: “This is my personal witness. 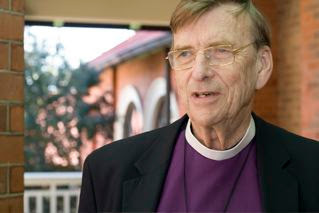 I will try to preside over this institution with all of its foibles, but I need the world to know that discrimination against gay and lesbian people is wrong, and I think the church is wrong to be compromised on this issue…” This sort of position would still respectfully acknowledge the more conservative branches of the Anglican communion (for instance, in Nigeria and in Sydney), but it would severely limit them, cut off their ability to grow by refusing to be constrained by their bigotry. So, yes, I am disappointed. Rowan has done some things that I find almost unconscionable. On account of his inconsistency, which at times borders on hypocrisy, he has infuriated liberals and the right-wing crazies in almost equal measure. I just don’t see how you can do leadership when you basically offend everybody because you don’t stand for anything! SS: Let’s turn to your own work for a while. I often wonder about the ethical consequences of your version of Christianity, and why it is that your work has such appeal for so many people. Karl Marx was very aware that there is a kind of religious impulse or logic that is at the heart of capitalism. In other words, there are expressions of religion which are diabolically compatible with our modern self-centredness. These kinds are religion are idolatrous because they pose no real challenge to the way people live. For instance, aren’t Western Buddhism and even Pentecostalism disgustingly bourgeois forms of religion? With all of your talk of “being all that one can be,” of “the search for God as the search for oneself,” isn’t your vision of a “new Christianity” pandering to the same bourgeois temperament? SPONG: I think that’s probably a legitimate criticism, because that’s the kind of world I’m trying to speak to all the time. And I probably do couch my message in language that is resonant with that way of life. But let me say that I think human beings are helplessly and hopelessly religious creatures. The reason for that is that we are the only self-conscious creatures in the world that we know of. And to be self-conscious means that you feel the ache of loneliness in a great big world that you don’t feel a part of, that you feel separated from. Human beings know that they’re going to die. All living things die, but only human beings anticipate it and plan for it. And so we have to live with the shadow of our mortality, which is one of the things that fuels this religious impulse. But maybe on a deeper level human beings also live with the question of whether life has any meaning. So we are driven to seek meaning because there is something about life that, if it’s meaningless, then you might as well commit suicide and get it over with. So the quest for meaning is also a deeply religious thing. I don’t believe that the world will ever be a religion-less world. I think that what happens is that religion is always going to be changing its face and changing its forms. We’ve done that before in the Christian tradition. 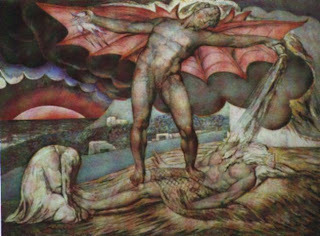 Just think of the various theological re-incarnations that have taken place in response to an ever-expanding worldview: the birth of Christianity in the Jewish world as part of the Jewish understanding of God, Augustine’s translation of the Christian faith into Platonic terms, Aquinas’ reconciliation of Christianity with Aristotelian thinking, the Reformation’s wrestling with the Renaissance, which represented a huge influx of new ideas about God and religion and the world from the East. Since that time there has been another revolution that changed the whole way that we see the world, and Christianity has got to redefine itself in terms of this new world. Copernicus, Kepler and Galileo destroyed the dwelling place of God above the sky, and in effect the theistic definition of God with it. After the destruction of this God, we’ve got to find a new way of talking about God beyond theism. The only alternative to theism that our world seems to know is atheism. We’ve got to find a way of getting beyond that opposition. We’ve got to find a new way of talking about God. SS: That, of course, is the very problem that Paul Tillich grappled with. SPONG: Oh yes. Tillich is one of my shaping theologians. The next person in this revolution was Isaac Newton, who showed us that the world operates according to very precise natural laws. There’s not much room in the world for miracles and magic. And finally comes Charles Darwin, and he changes the way we have to look at human life. 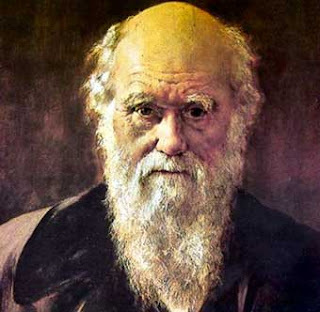 I’m working now on the subject of life after death, and I’m convinced that Darwin is the chief person who punctures the conviction that there is life after death in the Western world because he relates us to animals. Before that we had thought of ourselves as created in the image of God with an eternal soul, but now we see ourselves as just a little higher than the apes. We had never attributed any value to animal life, and now we see ourselves as identified with animals. I also think that Darwin challenges the primary way in which the Christian story has been told. Before Darwin we told the story of the Christian faith in terms of human beings that were created perfect in God’s image, but who disobeyed God and fell into sin, thus corrupting the whole created order. Human beings couldn’t save themselves. The law tried and the prophets tried, and finally God enters the world in God’s good time in the form of a saviour-rescuer. And that’s the story about Jesus, how he pays the price for sin on the cross, and so restores the fallen creature to what God intended them to be in the first place. That essentially is the theology of the incarnation and atonement that we’ve talked about for years. But it doesn’t work, and it’s not true. We never were created perfect in God’s image. We were created as single-cell units of life and we evolved over four-and-a-half to five billion years into various stages until at least we achieved self-consciousness. We are survival-oriented people because we wouldn’t have made it through the evolutionary process if we hadn’t been survival-oriented. And so we are radically self-centred, survival-orientated creatures, and we had to be to win the battle of evolution. But once we’ve won the battle, then there’s no more enemy except ourselves and so we turn our survival-instincts against one another – in genocide, for example. What got us to this position of dominance in the world is not sufficient to get us to whatever the next stage is. What Darwin suggests is that none of us need to be rescued from a fall that never happened, or restored to a status that we never possessed. That whole way of telling the Christian story simply doesn’t work. So instead of seeing Jesus as the divine saviour-rescuer who pays the price of sin, I think we’ve got to turn our whole Christology toward seeing Jesus as the kind of humanity that enables us to get over being the kind of survival-oriented creatures that we are and begin to give our lives away. I think that is dramatically powerful, and something to which people would be willing to give themselves if they understood it. And this is beginning to address your question. I don’t think that what I’m advocating is an easy sort of bourgeois feel-good gospel. I think what I’m advocating is a new humanity that will deliver us from our deeply competitive, tribal, prejudiced attitudes toward other human beings, and indeed toward other religions. So I think the role of the church is not to rescue the sinners, but to empower people to become more fully human. This is why Christ is so important to me. The way I see Christ is not as the incarnation of a theistic deity, but as so completely human that he becomes a channel through which the way I define God can live completely and perfectly. So I still have here Christ as “fully divine” and “fully human”, but I get at it in a very different way because I define God as the Source of Life, the Source of Love, the Ground of Being – all my Tillichian stuff comes out here. When I look at Jesus I see a human being that is so fully alive that the Source of Life is visible in him, so loving that the Source of Love is visible in him, so whole, so capable of being himself that the Ground of Being is visible in him. And then I watch him live out a new kind of humanity. When I look at the cross I don’t see a sacrifice where a victim pays the price of sin. I see a life that is so whole that he can give himself away completely. It’s a tough battle, but I think we’ve got to get people out of tribal religion and get them into a redemptive process that enhances our humanity instead of rescues us and makes us grateful. I think when we become fully human, then we share in the very meaning of God. It means that we live with God’s Life and we love with God’s Love and we are with God’s Being. The problem with humanity is that there is no one that we love more than ourselves. I look at Jesus and see that he is able to lay down his life “for the least of these.” That’s God presence to me; that’s not human. And when he’s dying, he’s not whining or begging or cussing or fighting or screaming. He’s saying, “God forgives you for nailing me to this cross.” He says “God comforts you in your own mortality” to the thief. He says “God cares for you” to his mother. He’s giving his life away! And I don’t care if those biblical portraits are accurate or not. That’s the way that the early Christians remembered Jesus: as the whole one who could give his life away. And, just to finish up this sermon [laughing], Mark’s image in the fifteenth chapter of his Gospel to me is a very powerful image. Jesus is dead and limp on the cross. A gentile soldier, who violates the boundary between Jew and Gentile, stands at the foot of that cross and points to that life and says, “That’s what God is like.” We translate that, “Truly this man was the Son of God,” as if he had just passed a test on Nicene orthodoxy. He didn’t know a thing about that kind of stuff. He was saying that in the kind of life he witnessed in Jesus, where he could give himself away, that’s the doorway that opens onto the way that God is and that’s the ultimate affirmation that God was in Christ. So you see I am very orthodox after all! I come back around to what is a very traditional, orthodox position, but my evangelical friends don’t see it because they see me as ‘eroding’ all of their security systems in the process. SS: I’m going to have to pull you up here, because what you’ve just proposed is very different from one of your previous positions. If I may be perfectly blunt, your chapter on “Original Sin” in A New Christianity for a New World gave me a lot of trouble. In it you present a disturbingly New Age, quasi-Jungian image of the human being in which “God and Satan, light and darkness, good and evil, Jesus and Judas” etc. must be embraced as part of some greater “wholeness.” Now, I’m with you in your rejection of the traditional notion of original sin, and I am deep agreement with you in placing the Christian story against a Darwinian backdrop. But I don’t see how you can reconcile your compelling picture of human-animals caught in the survival-instinct, from which we must break away in Christ, with this amoral description of human wholeness. You’re saying very different things here, aren’t you? Retrospectively, I’m not sure that I knew what I was writing, to be perfectly blunt back at you. Except that I still believe that Jung was right when he said that it was a great day for Christianity when the Roman Catholics promulgated the doctrine of the bodily assumption of Mary, because for the first time Mary was lifted into the sense of the divine. And then he said that God will finally be complete when the devil is lifted back into God and so God’s dark-side is also embraced in what is ultimately holy. That’s what I was trying to say about human life. I think the problem with liberals is that they always minimize evil. It’s a historic problem for liberals, and I don’t want to be guilty of that. Evil is very apparent to me in this world. I think human beings do awful things to each other and they do these things so often in the name of “God”. Evil is easy enough to document, but the real question is what is its source, what is its cure? In the same way that President Bush will never destroy terrorism by killing terrorists, I don’t think Christians will ever reduce evil by condemning it. Christians can only reduce evil by understanding its source, by addressing its causes. SS: I want to press you a little further on this. You most often refer to God, following Paul Tillich, as “the Ground of Being” and insist that we participate in God by becoming fully ourselves, by being all that we can be. But even Tillich was keenly aware that there are ways of “being” which are in fact delusional, inauthentic, even idolatrous. In your previous work you don’t seem to have factored in this aspect of Tillich’s thought. Haven’t you left the door open for all kinds of self-seeking idolatry in the name of one’s search for God? SPONG: I don’t know quite how to respond to that. But I may have the makings of an answer. I’m currently working on the question of whether someone with my theological understanding can have a belief in life-after-death. And my answer is yes. Now, I’ve got to figure out a way of saying that, and I think that will be my next book. But along the way I’ve examined what life-after-death means to most people, and it is a fiercely self-centred kind of idolatry. Only recently, within the last month, I’ve reached the place in my thought about this subject that I don’t need life-after-death to be authentic, and I can let it go. But I still believe in it. If the only motivation in my life for living fully and loving wastefully and being all that I can be is that I’ll get the reward of heaven or escape the punishment of hell, in whatever form you might look at either of those things, then it’s still nothing except a self-centred act. It’s a survival-oriented act, and I think the only way we get humanity to a new place is to get it over every part of its survival mentality. That is a form of idolatry the must be overcome. If we can get to that place where true humanity is found not in just surviving but in freely giving its life away, and if we can get to the place where life-after-death is not just about reward or punishment, or even about the completion of an unfinished life, when it is something that we can say we no longer need, then I think we can start understanding what such a life-after-death really is. SPONG: I keep telling my publisher that I’m trying to describe something that is beyond time and space, and I haven’t yet found a language for it. And so this may be a one paragraph book! It’s easier to say what life-after-death isn’t rather than what it is. Maybe that’s the way I’ve got to go, and then leave the final paragraph of the book vague but hopeful. Not only is that the next step in my writing, it’s the next step in my personal pilgrimage, which I think is increasingly beyond any theological system into a kind of wordless mysticism. SS: To conclude, I really must ask you about your relationship to Dietrich Bonhoeffer. The title of your new book, Jesus for the Non-Religious, is clearly invoking Bonhoeffer’s vision of a “religion-less Christianity.” And you are even presented as the heir to Bonhoeffer’s theological legacy. But here’s my problem: what Bonhoeffer means by “religion” and what you seem to mean by “religion” are two very different things. You seem to have in mind received orthodoxies, rigid church structures, organised religion, and so on. 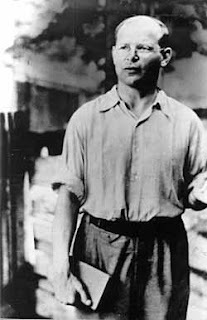 But, for Bonhoeffer, “religion” referred to the way that a complicit church and cheap grace had been absorbed into the bloodstream of German culture. The problem with “religious Christianity” was that it emptied the Christian faith of its ethical power and conviction, and became a way of indiscriminately baptising all of the godlessness of culture. And so, for Bonhoeffer, the solution to the perversion of religion was to make Christian liturgy less obscure, to make the Christian faith more concrete by wrapping it around “the Crucified” and the love for one’s neighbour. You however, in Bonhoeffer’s name, seem to be wanting to make the Christian faith and our understanding of God more obscure, more abstract. Don’t you think Bonhoeffer would have been opposed to your revision of the Christian faith? SPONG: We may very well be working at cross purposes. I don’t know. The title of this book was certainly inspired by Bonhoeffer, and the idea of the Christian faith that had to emerge out of Judaism at one point and that now has to emerge out of religion in order to live is very appealing to me. But I really do think of myself much more as the heir to John A. T. Robinson than I do Bonhoeffer. But let me say something about church structures, just to be absolutely clear. I am deeply committed to the church. The fascinating thing about my life, Scott, is that I don’t believe you can change the church unless you’re in it and I don’t give up on its structures. And I’m comforted by the biblical images that it only takes a saving remnant to be the salt in the soup and the leaven in the lump. You don’t have to win over the whole body. And out of the dying institution there always emerges the new “reformation” – whatever that word might mean. In the Jesus Seminar in America, of which I’m a member, Marcus Borg and I are regarded as the two conservatives because we really believe that the church can be redeemed. For if you don’t have some kind of incarnate structure then everything about our faith dissipates into vapidness. It just disappears. I don’t believe you can ever start a new church. I think you’ve always got to evolve out of what you are into something new. And I don’t worry about whether it’s a big movement or a little movement so long as it’s a faithful remnant that will keep alive the hope of ultimate reformation. Maybe that’s the point where Bonhoeffer and I intersect. You see, Bonhoeffer lived in a place where the Catholics were silent and the Lutheran Church was generally coopted by the Nazi government. So he saw no hope for religion as he was experiencing it. But I think Bonhoeffer was also a voice that rose within Lutheranism, and that in his death he acquired a greater pulpit than all of the other cooperative German Lutherans ever could. And that’s what I keep coming back to. John Robinson said something in one of his last books that I agree with – I certainly think it’s true of me. He said that in another generation or two, the criticism of John Robinson or of me will not be that we went too far, but that we didn’t go far enough. It is up to the next generation to press boundaries that I cannot even imagine going beyond. That’s why I insist that the church is an evolving institution. If you stop the evolution, it dies. And that’s why the negativity of the right-wing is so frightening to me. They want to stops things where they are, which would be a death sentence over the church. As I began by saying, I think that we – both of these polar opposites within the church – really need one another. We must keep this debate going. And so I even feel very appreciative of [the Archbishop of Sydney] Peter Jensen! I had an experience just this week that’s worth sharing. There is a person I met – I won’t tell you his name because it would be immediately recognised in Australian political circles – who bought my book after some of Peter’s attacks on me. He read it and called me up on the last day that we were in Sydney, and invited Christine and me out to his house for dinner. I don’t know where all this is going to lead that man. But this man is very wealthy, very well known, and politically related. His wife is very well known, and she’s politically related. But for them to find that the emptiness of their lives still cries out for something, and the fact that I’ve given them at least the possibility that they might find it in the church, that’s what I live for.